As one of the world biggest consumer electric tradeshow, CES2013 grand open at Jan 8th in Las Vegas. Each year CES will gather manufacturers from all over the world and presents their newest products and technologies. Many companies, mass media and technology enthusiasts will attend this tradeshow. 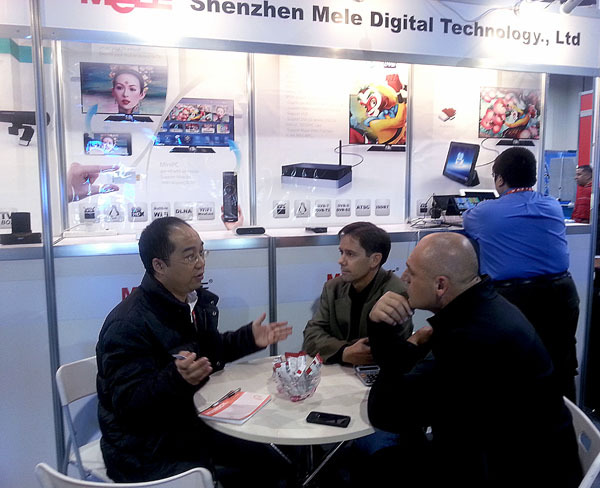 As one of the top HDD media player manufacturer company, Shenzhen Mele Digital Technology Ltd. had been attend CES for 7 years. 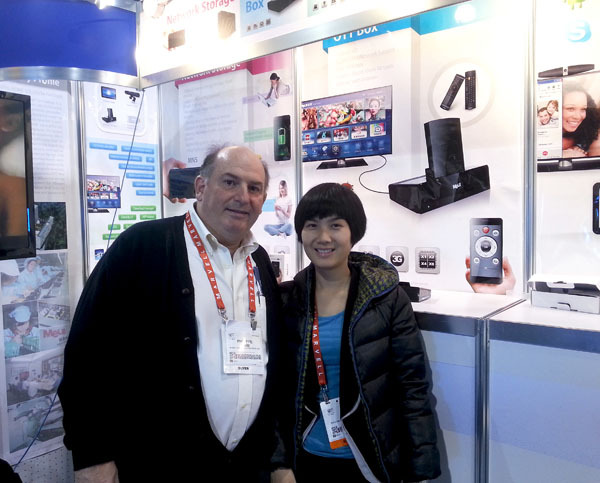 In this year CES, Mele Digital presents their newest living room PC, Pad, MNS mobile storage, Face 2 Face products. Mele’s advance and elegant products attracted customers consult and negotiate business.